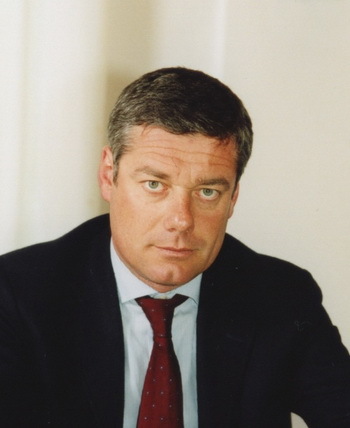 The Chambre de Commerce et d’Industrie Française en Italie has recognised Paolo Pininfarina (above), Group Chairman, as its Italian Personality of the Year, given for his contribution to the innovative electric car sharing program Autolib for Paris. The Chambre de Commerce et d’Industrie Française en Italie has recognised Paolo Pininfarina, Group Chairman, as its Italian Personality of the Year, given for his contribution to the innovative electric car sharing program Autolib for Paris. The prestigious award was presented to Pininfarina by the Ambassador of France in Italy Jean-Marc de La Sablière, during the traditional Gala Dinner of the Chambre de Commerce et d’Industrie Française en Italie (CFCII), an event during which the Franco-Italian business community recognizes the most outstanding personalities in the economic relations between the two countries. "This new sign of esteem makes us especially pleased due to the excellent relationship that Pininfarina has always had with France - said Paolo Pininfarina. - The recognition of the role of Pininfarina in the Autolib program, that our partner Bolloré is successfully developing, is the reward for years of commitment that the Company has been investing in sustainable mobility in all its forms, from the development to the production of hybrid and electrical vehicles for individual and collective transport, through the research of new technologies and alternative materials, thus aiming to reduce fuel consumption and emissions”. Pininfarina’s involvement in the car sharing program Autolib comes from the profitable relationship started in 2007 with the Bolloré group for the development and production of electric vehicles. Just the Bolloré Group, in late 2010, contracted for the supply of electric vehicles destined to Autolib. Then, last March, Pininfarina signed an agreement with the Bolloré group and Cecomp to rent a business unit (facilities and employees) from Pininfarina to Cecomp to produce the first lot of electric cars for the Paris municipality. The cars - derived from Pininfarina Bluecar, the project presented for the first time in 2008 - will be produced at Pininfarina’s plant of Bairo Canavese. The Personality of the Year award has been given in the recent past to Umberto Quadrino in 2010, Fulvio Conti in 2009 and Luca Cordero di Montezemolo in 2008.